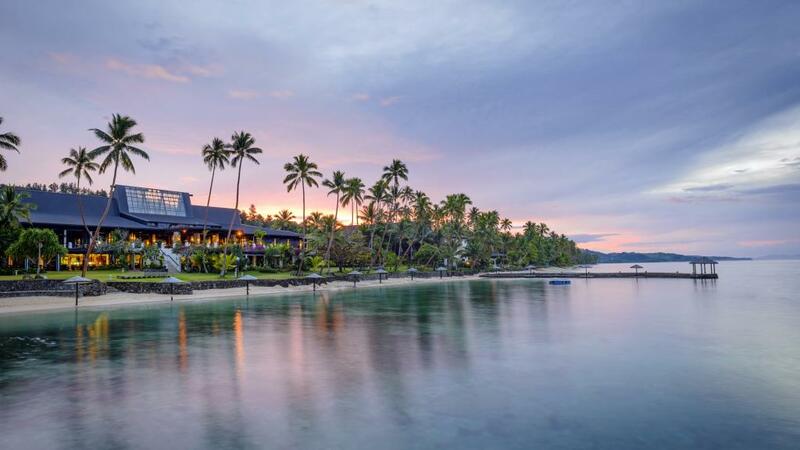 Just one and a half hours drive from Nadi along the famous Coral Coast, The Warwick Fiji is nestled amid 25 acres of tropical gardens on the edge of a white sand beach overlooking a calm lagoon. This Fiji accommodation boasts 2 large swimming pools that overlook the ocean plus an array of restaurants and bars to choose from. The kids will be entertained at the kids club while parents can spoil themselves in the day spa. This five star Fiji accommodation has everything to offer for families and couples travelling to Fiji.